Universal's 1931 version of Dracula is inspired by Bram Stoker's 1897 novel, but it's more directly based on the 1924 Dracula stage play by Hamilton Deane and John L. Balderston - which was an adaptation authorized by Stoker's widow, unlike the 1922 German film Nosferatu, which she tried to have wiped from existence. This adaptation is a simplified version of the story, making it a breezier Dracula film to sit through than some other cinematic tellings of the story, especially when you take into account its 74 minute running time. The film begins with a solicitor traveling to Count Dracula's castle in Transylvania, despite being warned by scared villagers that there are vampires in that castle. But this solicitor isn't named Jonathan Harker, as Stoker wrote, it's Dwight Frye as a character named Renfield. Dracula wants to lease property in London, and Renfield isn't going to let talk of vampires deter him from doing his job and securing the property for Dracula. After a day in Dracula's castle, Renfield has become a madman who eats insects for the blood inside of them, and Frye does a fantastic job playing crazy. 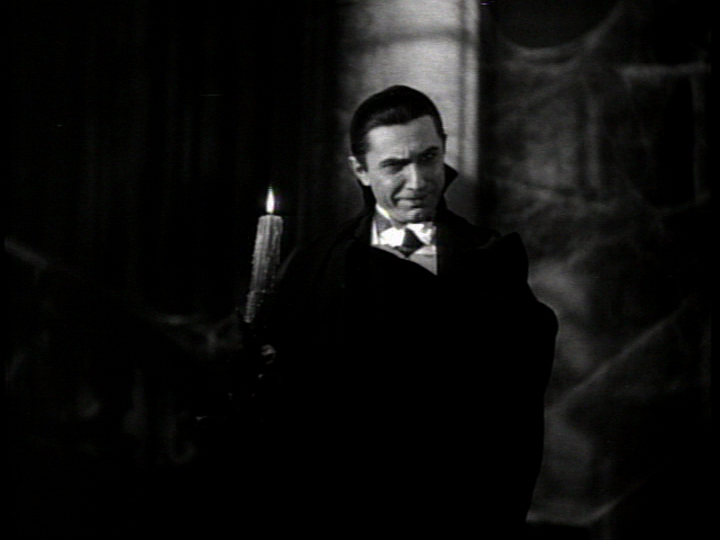 Renfield accompanies Dracula on a ship to London, and when that ship is boarded after it reaches its destination, he is the only person left alive on it. 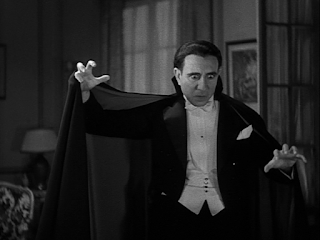 Although a Hungarian actor named Bela Lugosi had played Dracula on stage, Universal wasn't particularly interested in having him reprise the role on screen. Lugosi fought hard for the role, though, and ultimately got Universal to cast him by agreeing to be paid just $500 a week (a salary he was offered again for Son of Frankenstein eight years later). It was a budgetary decision, but it turned out to be the best creative decision Universal could have made. 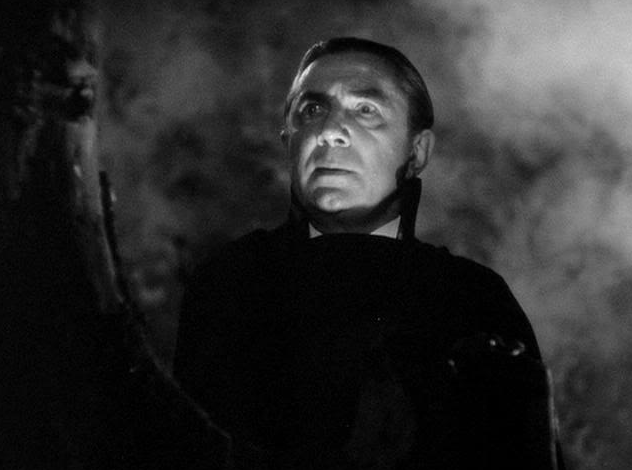 As we know now, Lugosi's unforgettable, captivating performance made his version of Dracula an immortal horror icon and is the biggest reason why the film still endures to this day. After taking up residence in his new London property, Dracula becomes infatuated with a young woman named Mina (Helen Chandler), the fiancée of one Jonathan Harker, regularly feeding on her and putting her under his spell. He also kills her friend Lucy (Frances Dade), turning her into a vampire who prefers to feed on children. It looks like Mina is going to become Dracula's latest bride (he has a collection of them), but all is not lost. 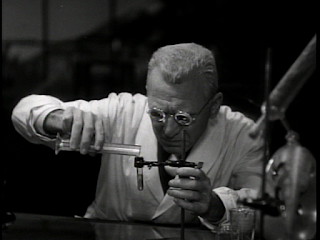 Professor Van Helsing (Edward Van Sloan), who works at the sanitarium where Renfield has been taken, is able to figure out in record time that they're dealing with vampires here, and almost immediately after making that discovery realizes that Dracula is the vampire that needs to be stopped. 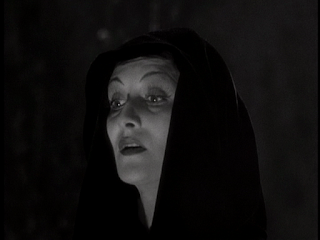 Dracula 1931 moves fast, which is something I can greatly appreciate. It's a well made film that delivers all the important elements of the story, features perhaps the greatest Dracula ever, and wraps things up right on time. There are horror fans who would passionately argue the "Lugosi is the best Draula" point, and others would argue against it just as passionately. This isn't a movie I could speak about with passion and I haven't really chosen my own favorite Dracula, but I do enjoy Dracula 1931 and really like what Lugosi did in the role. Regardless of my opinions, Dracula '31's place in the horror genre and in cinema at large has already been decided, and time has judged it very favorably. There always seems to be some way to bring a destroyed vampire back into existence, the Hammer Dracula series is a major example of that, and it should have been especially easy to bring Bela Lugosi's Count Dracula back to the screen, since we didn't even get to see him being staked. With the success of Dracula 1931 and the attention Lugosi was receiving for his performance, removing that stake from the Count's heart and putting him back in action would have been the obvious path for a sequel to take, and Universal did consider bringing Lugosi back. 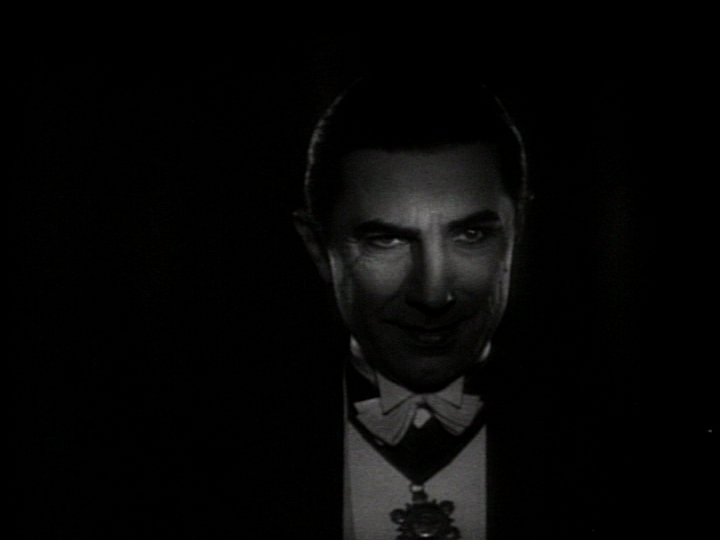 Problem was, Lugosi wanted a pay raise from the $500 a week he earned on the first movie, and even though the Dracula sequel ended up being one of the studio's most expensive films of the 1930s, with a budget of $278,000 - $17,500 of that going to director A. Edward Sutherland, who left the project before filming began - they didn't want to pay Lugosi's new price. 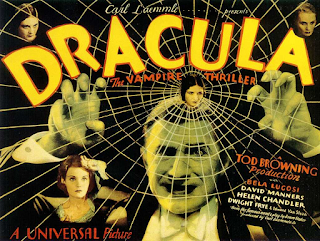 So Count Dracula was left in his grave, and inspiration for the sequel's story was drawn from both Joseph Thomas Sheridan Le Fanu's 1872 female vampire story Carmilla (which has been turned into many films over the years, like 1960's Blood and Roses) and the Bram Stoker short story Dracula's Guest, which was actually the excised first chapter of the Dracula novel. 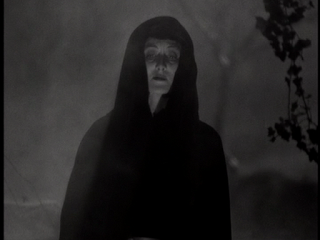 In it, a man traveling to Dracula's castle sees what is apparently a vampire woman sleeping in a tomb before the tomb is destroyed by lightning. Directed by Lambert Hillyer (who was paid $5000, quite a bit less than the director who didn't make the movie) from a screenplay by Garrett Fort - from a story by John L. Balderston, suggested by David O. Selznick under the name Oliver Jeffries - Dracula's Daughter picks up immediately after the ending of Dracula, with Edward Van Sloan's Professor Van Helsing facing the consequences of staking a man in the heart. Van Helsing is actually called Von Helsing in this film, but I'm not going along with that. Scotland Yard's case against Van Helsing is complicated by the fact that Dracula's body is stolen and burned by his daughter, Gloria Holden as Countess Marya Zaleska. Zaleska is relieved to see her father dead and hopeful that this will lift the curse of vampirism from her. She wants to live a normal life. 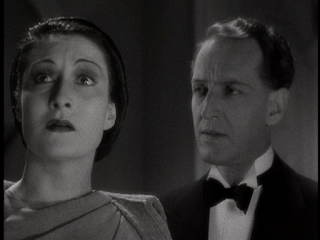 Zaleska still craves blood, though, so she seeks the help of psychiatrist Dr. Jeffrey Garth (Otto Kruger), who also happens to be serving as Van Helsing's lawyer. Of course, therapy doesn't help her, either. So Zaleska gives in to her urges, and with the help of her human lackey Sandor (Irving Pichel) abducts Garth's assistant Janet (Marguerite Churchill), whisking her away to Transylvania so Garth will follow her there. Once he is in Transylvania, Zaleska plans to turn him into a vampire and make him hers forever. 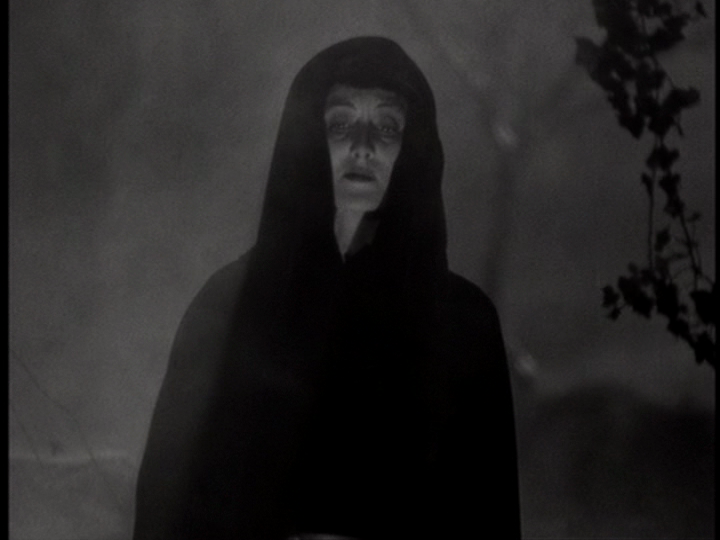 I never fully gave Dracula's Daughter a fair shake, since I was disappointed that Lugosi didn't return as Dracula. I didn't care about his daughter or what she was up to, I wanted to see the man himself. Giving the film a chance now, I found that Zaleska really does have some interesting things going on. She's a sympathetic character, and even though Holden was not happy with the role, I think she gave a good performance as the character. She has a lot of great line deliveries, one that I really love coming when she says "... there's nothing ahead for me but horror." This remains a letdown in comparison to its predecessor, but it's not bad in itself. It sounds like Zaleska was an evil torture enthusiast in the initial draft written by Balderston, but I like reluctant vampire of the film better than that more expected idea. I do wish that the beginning of Balderston's script had made it to the screen - it involved Van Helsing going to Dracula's castle to wipe out the three vampire brides we saw there in the '31 movie. That would have been entertaining to see. Son of Dracula is, like Dracula's Daughter, a film I have largely disregarded over the years. While watching Universal monster movies, when I saw Dracula I wanted it to be Bela Lugosi, I didn't care about his daughter, and I sure didn't care about his son. 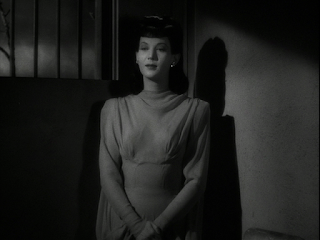 My disinterest in these characters was enhanced by the fact that Gloria Holden and Lon Chaney Jr. did not seem like they would be Lugosi's offspring, as I was hung up on the idea of them being biological children, and I thought they should also share Lugosi's accent. Interestingly, Lon Chaney, "The Man of a Thousand Faces" and star of such films as 1923's The Hunchback of Notre Dame, had come very close to playing Dracula in the 1931 film, his casting thwarted only by his untimely death. If Chaney had been Dracula, it would seem much more appropriate that Lon Jr. was cast twelve years later to play the Son. Directed by Robert Siodmak and written by Eric Taylor from a story by Siodmak's brother Curt, Son of Dracula has a wonderful setting for a horror movie - a plantation called Dark Oaks, which sits on the edge of a swamp in the American South. 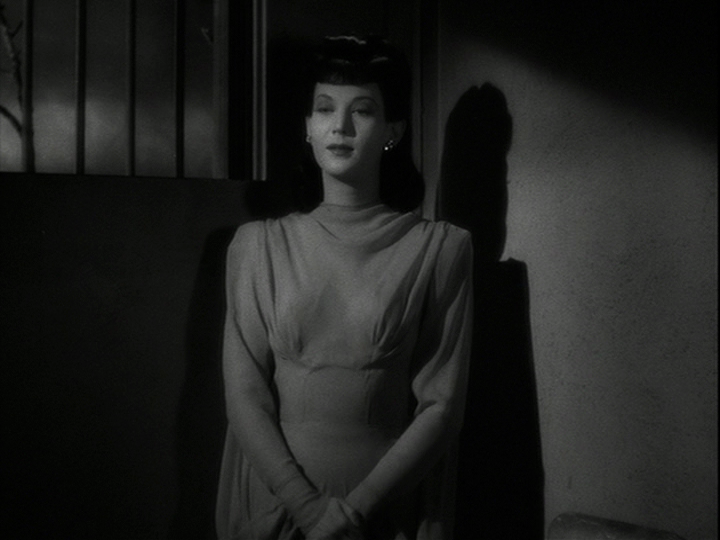 Katherine Caldwell (Louise Allbritton) resides in Dark Oaks with her family and recently returned from a life-changing trip to Budapest. Katherine met a Gypsy fortune teller called Queen Zimba (Adeline De Walt Reynolds) in Budapest and decided to bring the woman back home with her, setting her up in a shack in the swamp. She also met a Count Alucard while there, and invited the Count to visit her at Dark Oaks. The film begins with the people of Dark Oaks awaiting the Count's arrival. His luggage arrives first, and as soon as Caldwell family friend Dr. Harry Brewster (Frank Craven) sees the name Alucard in print on the luggage he realizes that Alucard is Dracula backward. Brewster is familiar with the legend of Dracula, he even reads Bram Stoker's novel in the film, so this puts an instant and understandable suspicion in his mind. A suspicion that grows as the events of the story play out. Under the spell of Count Alucard, Katherine doesn't seem to mind too much when friends or family members are killed by the vampire. She inherits Dark Oaks and plans to live there forever with her husband, the Count. The fact that she marries Alucard doesn't sit too well with her fiancé Frank Stanley (Robert Paige). This "under your spell" thing seems to go both ways for the bloodsucking couple, though, as Alucard appears quite dedicated to the idea of living in domestic harmony with Katherine. There's really nothing within the movie to say that Alucard isn't actually Count Dracula himself, somehow reincarnated. We only have the title and press materials to assure us that he isn't the same character Lugosi played, but rather a descendant. That assurance is nice to have, because we'll come to find out that Alucard is being played like a pawn, and I wouldn't want to think that the Count Dracula could be manipulated in such ways. Alucard, he can be a chump, I'm fine with that, and before that reveal Lon Chaney Jr. does have a strong presence as the strange Count. He may not be Lugosi Jr., but when I put thoughts of Lugosi out of my mind I can enjoy his Alucard work. I should have been doing that all the time. Lon Chaney Jr. is great and instead of waiting so long to be receptive to Son of Dracula, spending years wondering "Why isn't Lugosi in this sequel? ", I should have just been glad to have the chance to watch Chaney play a vampire. Son of Dracula has a lot of great elements - star, setting, twisty and twisted story - that don't quite come together to make a great movie, but it's a decent enough movie that is worth watching and judging on its own merits. In addition to playing Dracula in seven films for Hammer, Christopher Lee also played the character in a couple side projects. He starred in Jess Franco's 1970 film Count Dracula, and in 1976 he starred in the French production Dracula and Son - although during the filming of that one Lee's character was known only as The Count. Making him Dracula was a late in the game marketing decision that Lee was not happy about. Director Lew Landers' The Return of the Vampire is basically Bela Lugosi's version of Lee doing Count Dracula or Dracula and Son. He's playing Dracula, but not for Universal, and his vampire character isn't actually named Dracula. The rumor is that Columbia Pictures intended The Return of the Vampire to be a sequel to Dracula, but Universal wasn't as lenient as Hammer was - if Lugosi was going to play Dracula for another studio, they were going to sue. So the vampire in this film was named Armand Tesla. Scripted by Randall Faye and Griffin Jay, the story begins in England in the final days of World War I. On October 15, 1918, to be exact. 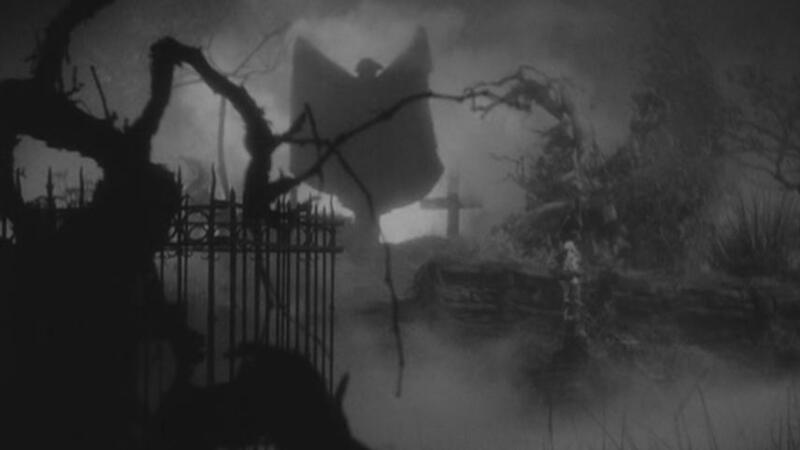 The film has a classic horror movie opening: a vulture sits on a tree branch in a creepy cemetery on a gloomy night, a thick fog covering the ground. Among the tombstones comes walking a werewolf - Matt Willis as Andreas Obry. This is some absolutely wonderful imagery. Andreas enters a tomb, where he awakens his master. The vampire Armand Tesla. Tesla had recently attacked a woman who was found practically bloodless and is now being tended to at a local sanatorium by Doctor Jane Ainsley (Frieda Inescort) and Professor Walter Saunders (Gilbert Emery). Saunders is quickly able to deduce that there is a vampire at work in the area, and he uses a book written by Tesla himself to figure out how to deal with it. Two hundred years earlier, Tesla had been a regular man who was an authority on vampirism, and his fascination with the creatures took him down the path of being turned into a vampire himself in 1744. In a book Tesla wrote before his turning, he revealed that the bloodsucking dead can only be killed by sunlight or by driving a spike into their heart while they lie dormant in their coffin during the day. Ainsley and Saunders find Tesla in his coffin and stake him, not only killing him but also releasing Andreas from the curse of lycanthropy. Problem solved. 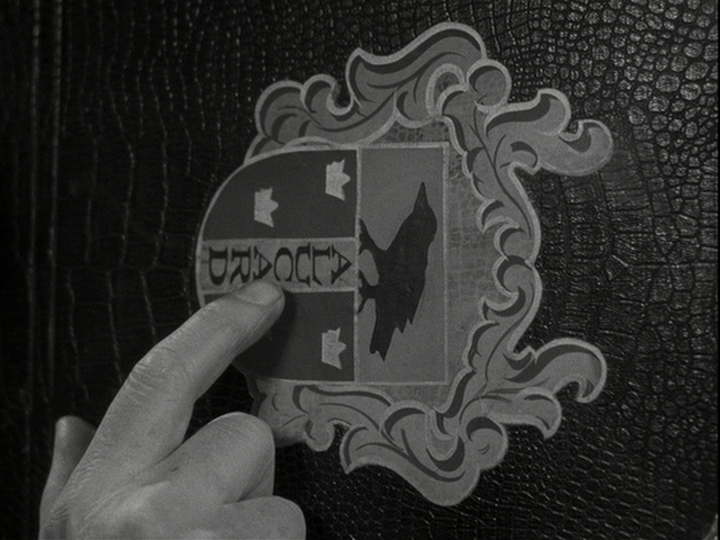 The vampire and the werewolf have been defeated within in the first 15 minutes of the film. Jump ahead to 1941 or '42, the midst of World War II. When the cemetery is hit in a bombing, Tesla's tomb is destroyed and the spike is removed from his chest by the men assigned to clean the place up. Tesla is revived and his first order of business is to find Andreas and use his hypnotic powers to turn him into a werewolf once again. The vampire and werewolf are back in action by the 25 minute point. A curse from Tesla has caused Saunders to die in a plane crash since the vampire was put out of commission, but there's still Ainsley to get revenge on, and Tesla proceeds to try to do so while stealing the identity of one of her fellow doctors, weaselling his way into her good graces while feeding on the people she cares for - her son John (Roland Varno) and his fiancee, Saunders' granddaughter Nikki (Nina Foch). Those fast and furious first 25 minutes are the best part of the movie, it becomes more of a typical vampire movie from then on, with Tesla feeding on Nikki, putting her under his spell, calling to her in the night. That typical stuff is also classic stuff, though, and I can't fault the filmmakers for sticking with what has been established to work. The addition of the werewolf into the mix does make things more interesting, allowing for scenes like a moment when someone has been asked to watch over Nikki while she sleeps, so the werewolf comes barging into the room, grabs the caretaker and carries her out of the room so Tesla can get to work with his mind control whispers. 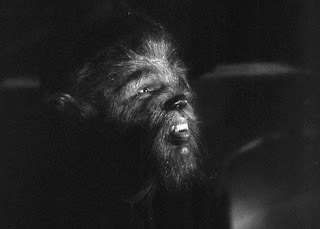 The best thing about The Return of the Vampire is truly the presence of Lugosi as the titular creature. It's always great to watch him work, and it's fun to see him reprise his most famous role without actually reprising it. 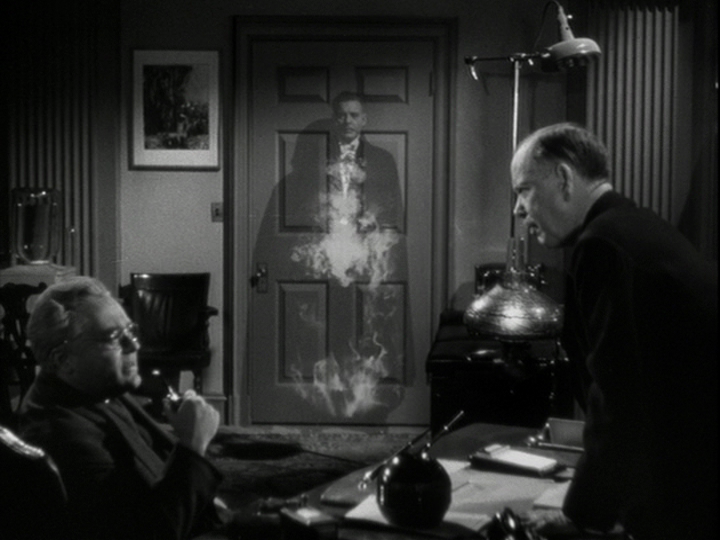 The scenes where Lugosi gets to show Tesla's true nature are really terrific. Director Tod Browning's English language version of Dracula starring Bela Lugosi wasn't the only Dracula movie Universal produced in 1931. They also had this Spanish language version, directed by George Melford (who did not understand Spanish) from a screenplay by Baltasar Fernández Cué, in production at the exact same time. Browning and his cast and crew worked during the day, and when they vacated the sets at night the Spanish film's cast and crew would move in. The two productions shot basically the same scenes on the same sets, with the actors even hitting the same marks. Melford's Spanish Dracula was virtually lost for several decades, but in recent decades has been revived and restored, and is included in the Universal box sets, as it should be. Many viewers have even found this version to be the superior of the two. This version has its merits and should be seen, but while each version does something better than the other one does, I would still have to side with the Browning / Lugosi film, it's more appealing to me. 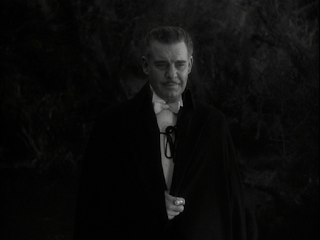 I mean, just the presence of Lugosi as Dracula is enough for the other version to pull off a win in my book. 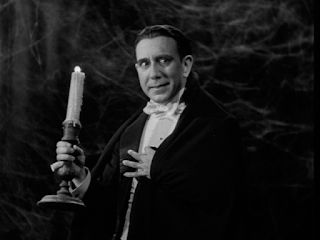 Lugosi was chilling and menacing, while Carlos Villarías's Conde Drácula in the Spanish version is unintentionally humorous with the expressions on his face. Browning's Dracula also benefits from being short and fast, while Melford's takes 29 minutes longer to tell the story. Scenes last longer and there are some extra scenes, and unfortunately some of that extra time is devoted to one of my least favorite things about the Spanish version, Pablo Álvarez Rubio's over-the-top take on the insane character Renfield. It has its ups and downs, but this version of Dracula is a very interesting piece of cinematic history. Forty-eight years after their very successful first attempt at bringing the story of Dracula to the screen, Universal Pictures decided to give it another try, hiring Saturday Night Fever director John Badham to direct a screenplay written by W.D. Richter, who was fresh off of writing the 1978 version of Invasion of the Body Snatchers and on his way to writing Big Trouble in Little China. 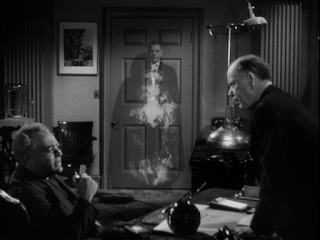 Although based on both the Bram Stoker novel and the stage play by Hamilton Deane and John L. Balderston, the Badham / Richter film has its own unique way of telling the story. It even skips over the part that I feel I have seen too many times, the section in which a solicitor travels to Dracula's castle, instead beginning with the doomed voyage of the Demeter, the ship that carries Dracula from Transylvania to England. Since Dracula has wiped out the crew during the journey, the ship wrecks on the shore in England on a dark and stormy night, not far from a sanitarium that overlooks the sea from the edge of a cliff. The head of the sanitarium is Donald Pleasence - just months after Halloween - as Dr. Jack Seward, and despite the fact that the sanitarium seems quite filthy, disorganized, and dangerous, Seward also lives within the same building with his daughter Lucy (Kate Nelligan). When Dracula is found to be the only person still moving after the shipwreck, he is taken in by the Sewards... and he quickly proceeds to feed on both sanitarium employee Renfield (Tony Haygarth), turning him into a madman who feeds on insects, and on Lucy's friend Mina Van Helsing (Jan Francis). Mina dies, and it's her father Professor Abraham Van Helsing (Laurence Olivier) who deduces she was killed by a vampire. It's he who has to kill her when she rises from the grave, too. And this vampire Mina is extremely creepy. Meanwhile, Dracula has taken up residence in his crumbling England property and has been having great success at romancing Lucy, even though she has a boyfriend - solicitor Jonathan Harker (Trevor Eve). Of course, Dracula intends to turn Lucy into his vampire bride, and during one particularly intense sequence of seduction, the film basically turns into a James Bond title sequence for a moment, with bats and a writhing Lucy and Dracula in place of guns and Bond girls. 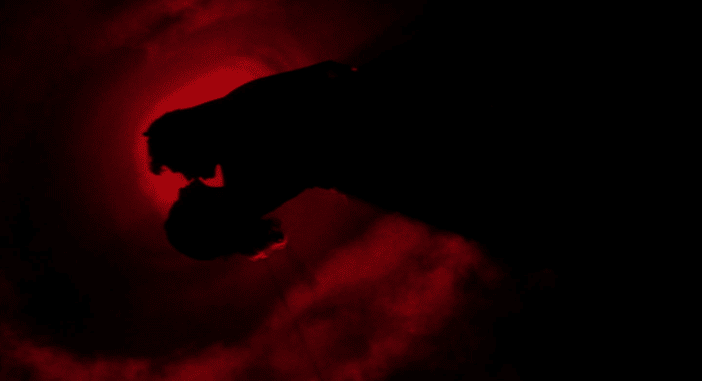 This sequence was put together by Maurice Binder, the man responsible for most of the Bond title sequences. As Dracula prepares to take Lucy back to Transylvania with him, Van Helsing, Seward, and Harker team up to stop the Count. Like Bela Lugosi, the actor who played Dracula in this film had experience playing the character on stage. This time it was Frank Langella playing the Count, and his Dracula is very charismatic. When he interacts with others, there's nothing scary about this guy, he's charming and classy, and it's easy to understand why people would fall under his spell. It's a great take on the character, lacking in the scare department but succeeding at making him a strong presence. Dracula '79 is a great take on the story in general, mixing together the familiar characters and elements and then presenting them in different ways. We've seen these things before, but the Badham / Richter version of them never gave me a "been there, done that" feeling. It's the same old Dracula story, but reworked and refreshed.